With the rising tensions between countries around the world, the possibility of a nuclear war is becoming more than just an idea from a science-fiction novel. What would happen if nukes fell from the sky? The devastation would be overwhelming. Life, as we know, would come to a bitter end! The blast from a nuclear explosion would certainly cause astronomical destruction alone. Consequently, these lasting effects of the fallout would create all kinds of ongoing issues for survivors to face. Things like radiation damage, climate change, gamma rays, and piles of radioactive material pushed into the atmosphere would be a reality. Forget the convenience of stopping by the grocery store to pick something up for dinner – Your hard-earned dollars would no longer have any value. Still, you’d need to provide for yourself, and for your family, even if you’re the last people on earth. You’ve heard the saying “An ounce of prevention is worth a pound of cure.” The same could be said for preparation. Preppers, permaculturists, and self-sufficient people are in the best position to deal with the fallout of a nuclear attack. From food shortages, to a loss of utilities, and even a lack of communication with the outside world. Spending some time developing a plan of preparedness can give you the comfort of knowing that you’d be able to take care of yourself and your family. Instead of wondering who will help you, you can help yourself by learning more about the concepts and practices of preppers and permaculturists, These include harvesting water, protecting your shelter, developing systems to grow food, and maximizing yields with companion planting. 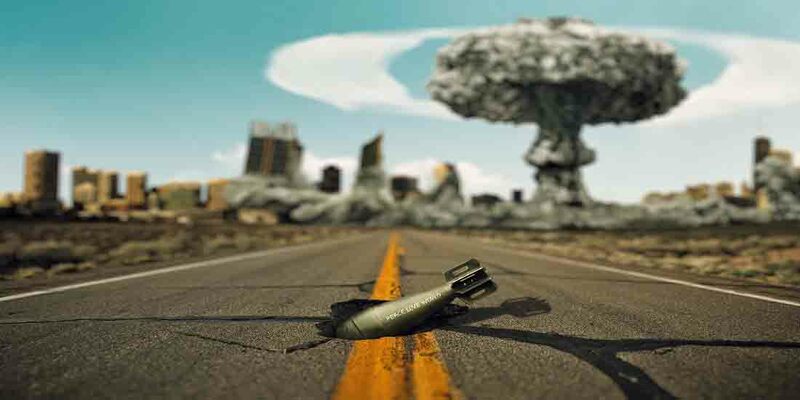 Check out the videos below to find out what you can expect during a nuclear fallout – or what would happen if the world ended. Sure, these short videos might be entertaining. However, they are based around scientific theories to provide accurate information about the potential aftereffects of nuclear war. This includes nuclear winter, as illustrated in the second video. In 1816, known as “the year without a summer,” a volcanic eruption caused a global cooling of just 0.5 degrees Celsius. The fallout led to devastation around the world, including widespread famine, stock market collapse, and even a mass migration. “You could survive given the right preparations… “Humans are resilient and will persevere through the toughest obstacles. The real question that you have to ask yourself in this situation isn’t if you could survive a fallout – it’s if you’d want to”, Says Jake from Vsauce in the first video. However, the knowledge gained from studying permaculture and other prepping techniques can be quite beneficial. You might just be able to get through the devastation of a nuclear winter. Talk about coming out the other side ready to make a brand-new start! “We are not in ruins, but in something waiting to be build…From these ashes, we can rise and create beauty … so we continue on. Not because we want to, but because we have to”, says Jake, near the end of the second video.